2 What Are Essential Oils? 3 How Can Essential Oils Help You Manage Your Headaches? 4 What are the Best Essential Oils for Headaches? 11 Conclusions: Can Essential Oils Help Me Fight Headaches? If you deal with recurring headaches, you probably have searched to find an effective treatment. Painkillers, either over the counter or prescription, are the most common headache remedy. Unfortunately, these don’t work for everyone since they don’t treat the cause of the problem and often have nasty and unwanted side effects, like liver damage, fatigue, nausea, constipation, dry mouth and may even cause more headaches. In short, essential oils can help you manage your headache symptoms by treating the underlying causes of the headaches. The best essential oils for your headache depend on what type of headache you suffer from. Fortunately, there are other natural options out there to treat headaches. Essential oils are a great choice for headache treatment since they safely treat the cause of the headache and get to the root of the problem instead of just temporarily masking the pain. Another added bonus for essential oils: using them to treat your headaches puts you totally in control of your headache management while minimizing nasty, unwanted side effects. Essential oils are aromatic natural oils that are made by distilling or pressing the oil from a plant like an herb or fruit. These oils normally smell like a stronger version of the plant they come from due to how they are made. How Can Essential Oils Help You Manage Your Headaches? To figure out how to manage your headaches with essential oils, you must first figure out the type of headache you are suffering from and the causes of your headaches. Each type of headache has a different cause. Some of the headaches are the primary illness and some of the headaches are a secondary response to another ailment, like low blood sugar. If you suffer from chronic or a very severe headaches, you should check with your doctor immediately to rule out other serious headache causes including stroke or aneurysm. Serious headache causes require immediate medical attention and should not be treated with essential oils. Encouraging hydration: A drop of certain essential oils in water may encourage you to drink more liquids, thus busting dehydration. Boosting immunity: Some essential oils are proven immune system boosters. These oils keep your body healthy and make sure viruses and bacteria that may cause headaches stay at bay. What are the Best Essential Oils for Headaches? Navigating your way through all the available essential oils can be a daunting task. There are many oils that can help you get relief from your allergy symptoms without relying solely on medications. All of these oils have unique properties that help you to control your Headaches better. Here are some of the ways each oil can help. Lavender Oil has a calming effect that is well-known and researched. A less commonly known fact about lavender oil is its ability to help reduce the severity of headaches. One study that tested on 200 participants with migraine symptoms found that over 74% of the participants saw a reduction in symptoms using no medication and only 2-3 drops of lavender oil applied to their upper lips. Diluting Blood Vessels – Lavender has a natural compound that helps to open up blood vessels which helps to restore blood flow and help reduce tension and migraine headache symptoms. Eases Pain – Lavender oil can help reduce headache pain both associated with allergies and associated with migraine pain. Inhaling Drops Directly – Place two to three drops of lavender oil on your upper lip and inhale the fumes for about 15 minutes at a time. Repeat as needed. Use caution with this approach, however, since lavender can be toxic if ingested. In Boiling Water – Boil a small pot of water and place two to three drops of lavender oil into the water. Place a towel over your head and bowl and inhale the vapors. Soaking – Adding a few drops of lavender oil into a hot bath not only reduces stress, an underlying cause of headaches but allows you to inhale its soothing scents, giving you a one two headache relieving punch. Not just for making candy canes, this fragrant oil packs a wallop when it comes to busting headaches. This minty fresh oil can ease even the worse headache symptoms. Muscle Soothing – Peppermint has a strong muscle soothing effect. When used on the forehead, it can help with headaches typically caused by tension or migraines. It does this by opening up blood flow to the parts of the body it is applied to. Reducing Pain – Peppermint oil has pain relieving properties that can be used to help treat some of the painful effects of headaches caused by tension, allergies, and migraines. Mental Soothing – Peppermint oil’s minty smell has the ability to help you relax mentally as well as physically. Like many other oils, the fragrance when inhaled has an overall calming effect on your mind and body. Inhaling – Either put a few drops of peppermint oil on a sponge and inhale directly or place one or two drops in a pot of boiling water and inhale with a towel over your head and pot. This will help relieve some of the stress and tension that is associated with tension headaches. Apply Directly to Forehead – Applying peppermint oil directly to the skin around the forehead can help target the pain around the head and help reduce your headache symptoms. One or two drops should be all you need. Be sure to dilute the oil with a carrier oil such as coconut oil to protect the skin. You can also apply the peppermint oil dilution to the back of neck and shoulders to help alleviate your headache pain. Like many of the other essential oils, eucalyptus oil has multiple potential health benefits. Most notably, eucalyptus oil plays a role in reducing sinus headaches. Anti-Inflammatory Properties – Studies indicated above show that eucalyptus has a strong anti-inflammatory property that helps reduce tension and sinus headaches in participants. Topical Application – Add one to three drops of eucalyptus oil to a carrier oil such as coconut oil and apply directly to your forehead, neck, or shoulders. This will result in a reduction of swelling and reduce nasal blockage and clear your airways. As a result, it will help to alleviate the pain associated with sinus build up and pressure. Chamomile has a calm reputation for good reason. Not only can this herb soothe your nerves and ease cold symptoms, but it is a great choice for treating stress related headaches. Reducing Tension – Chamomile has a tension reducing property that helps to greatly reduce headache pain associated with tension headaches. Banishing Stress – Chamomile oil helps reduce stress that is a leading cause of tension headaches. Reduction in stress can help with overall health as well, but its impact on reducing headaches is also something to note. Bathe – When you have a painful tension headache, taking a bath mixed with chamomile oil is a great way to get some relief. Topical – Add one or two drops of chamomile oil to a carrier oil and then rub on the forehead, neck, and shoulders to help reduce tension and alleviate the headache pain. Brew a cup of tea – Chamomile tea is a home remedy for common ailments for a reason. You can make your own by purchasing a chamomile blend or you can simply add a drop of food grade chamomile essential oil to a cup of hot water with honey and lemon. Since ancient times, people have used spearmint oil to treat a number of health ailments from rashes and skin issues to sexually transmitted diseases, and, of course, headaches. Relieving Relieving Nerve and Muscle Spasms – Reducing the number of times a nerve fires or the muscle spasms helps to reduce pain. When applied to the forehead, it can help reduce tension and migraine headaches. Reducing Stress – Soothing spearmint can reduce stress when inhaled or consumed. The menthol in spearmint offers a sedative effect enhanced by the fresh scent and taste of this herb. Balancing Hormones – Spearmint can help balance out your hormones. Hormonal imbalances can lead to headaches and other uncomfortable ailments. Inhaling – Mix a drop two in water and boil it to maximize the effect of spearmint’s menthol and fresh scent. Topically – Mix a drop or two of spearmint oil with a carrier oil to create a soothing balm to reduce headaches. Rub directly onto your forehead, neck, and shoulders. Use essential oils to their fullest capabilities to beat your headaches with these tips and tricks. Choose the right oil for the type of headache you are suffering from. Identifying the type of headache you are suffering from first will help you identify the underlying cause and choose the best oil for you. Try mixing the oils together to create a headache blend. Try combining lavender oil with eucalyptus oil for a soothing blend to beat tension headaches. Experiment with uses. You might find soaking in a lavender bath really helps beat headaches but you dislike rubbing the oil directly on you. You may find however that you love using a peppermint oil balm on your forehead. Try different uses for each oil to find what works best for you. Remember, essential oils are NOT a substitute for medical care. In some cases headaches may be a symptom of a larger medical problem. It’s always a good idea to consult with a doctor to rule out any underlying medical issues that may cause your headaches. Conclusions: Can Essential Oils Help Me Fight Headaches? Essential oils may help you beat your headaches. These oils can fight many underlying causes of headaches including stress, allergies, and dehydration. Beware though: essential oils are never intended as a substitute for a doctor’s care. In the event of a severe headache or series of headaches, seek immediate medical attention. 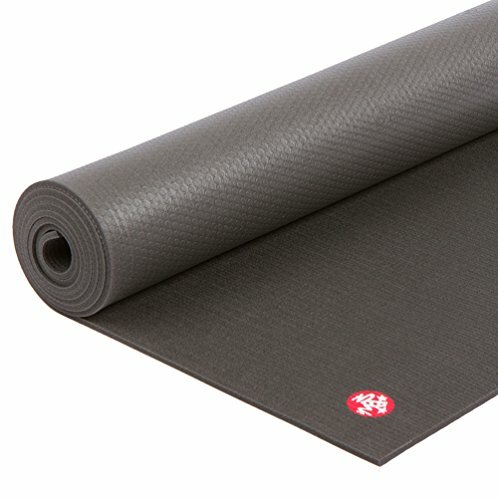 Manduka PRO Yoga and Pilates Mat, Black,71"
Somuchyoga.com is a participant in the Amazon Services LLC Associates Program, an affiliate advertising program designed to provide a means for sites to earn advertising fees by advertising and linking to Amazon.com. 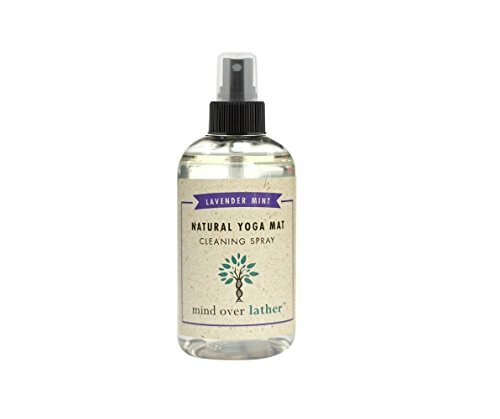 Additionally, www.somuchyoga.com participates in various other affiliate programs, and we sometimes get a commission through purchases made through our links. We may receive products for free for review. Amazon, the Amazon logo and the Prime logo are trademarks of Amazon.com, Inc. or its affiliates.